The county’s finest food, cooking demonstrations and entertainment will be brought to the town centre on July 22 and 23. And the festival has won the backing of town councillors. Marie Whitehead, of the events company, CN Events, spoke about the plans at the latest Whitehaven Town Council meeting. She said the aim is to get about 40 traders at the two-day event. “To ensure the success of the festival, it is important to get high-quality traders, the right chefs and the right mix of entertainment,” she said. Organisers are also aiming to hold a comedy night, and they are currently looking for a venue for 100 people. Mrs Whitehead told councillors that the festival is set to cost about £15,000. The footfall is expected to be 7,500 in the first year, increasing in following years. “It’s really important for us to attract a big audience to the town but we want local people to enjoy it,” said Mrs Whitehead. 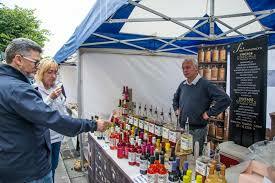 CN Events host a number of Taste Cumbria events across the county including Ulverston, Cockermouth and Kirkby Lonsdale. The Cockermouth event brings about 40,000 visitors and nearly £3 million benefit into the local economy. There were strong crowds in Kirkby Lonsdale – the most recent town to be added to the showcase – over the Easter weekend, and an estimated 15,000 people came to the Ulverston event in May.